The Ghana International Model of UN today organized its maiden conference named “The Afia Oware Women Summit” which was held at the Great Hall of the University of Ghana. The Afia Oware Women Summit which is a module under the Ghana International Model of UN Conference is the first of its kind established in this country. The summit was organized for women to interact and build a network to ensure their growth in all aspects of lives. 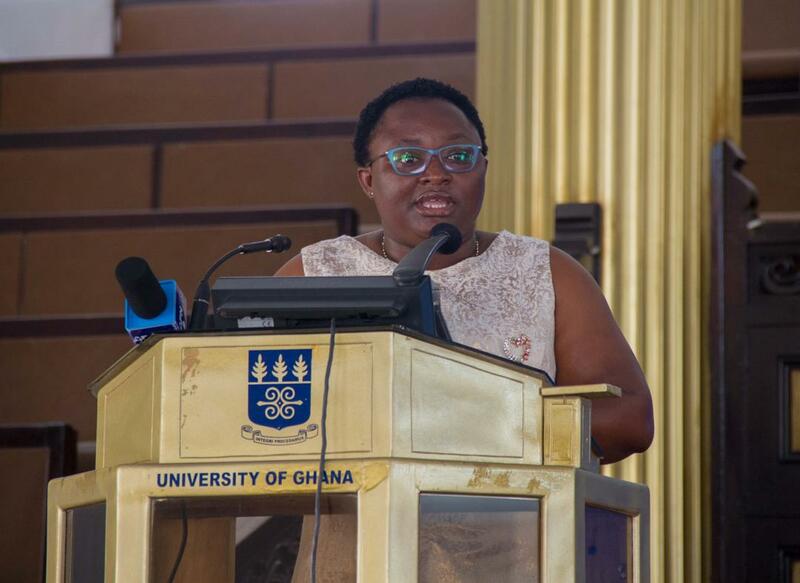 At the maiden edition today, Gifty Afia Oware-Aboagye, The Deputy Executive Director (F&A) of Ghana National Service Scheme, whose has been named after a module gave the keynote speech outlining the serialized events supposed to take place under the module to enhance the capabilities of women. Ms.Oware-Aboagye used the opportunity to launch the Relationship Hub, a somewhat institution expected to function under the processes of charting a path in ensuring that, young women are given the chance to interact and have personal relationships with their mentors. She admonished the participants at the summit to be steadfast in the cause to change and lead the narrative on women empowerment, in that, the need for women to be advocates but their advocacy must reflect in the lives of those it affects. She promised to lead the charge in her own regard and that was the reason she felt extremely honoured to be face for this Summit. She ended by imploring on the participants to expect series of events that will be pushed through the media and virtual platforms towards the Gender Agenda and the Relationship-Hub project. “2019 will be full of activities towards the success and growth of women”, she assured. Ms. Oware-Aboagye was one time the first female Secretary General of Ghana International Model of UN in 2010. Customer Service Expert at MTN, Alberta Ayeley Ameziah. Model UN Secretary General, GIMUN 2019 and MiaHemaa Edem, Political Activist.